The ability to take a screenshot is an essential function on a computer, and the same holds true for your smartphone. A screenshot is pretty helpful if you need to explain to technical support the glitches in an app after the last upgrade. Usually, android devices have a simple method of capturing a screenshot, but Samsung Galaxy devices have another unique way of taking a screenshot that is pretty easy and efficient. 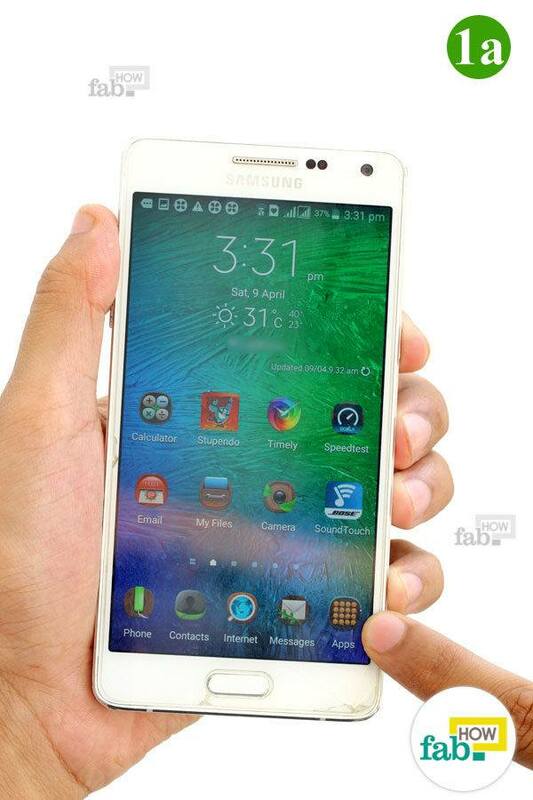 Talking about Galaxy series is important, as they established the authority of Samsung in the smartphone market. So there are a lot of Samsung Galaxy owners. 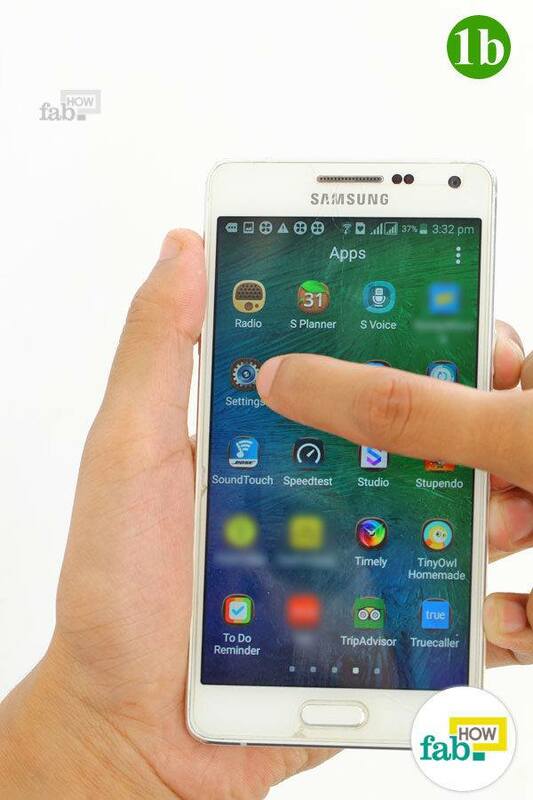 Here is a guide to taking a screenshot in the Samsung Galaxy device and other Android Phones. A common method of taking a screenshot in nearly every android device, including Samsung smartphones, is by holding down the Home and Power buttons at the same time. Go to the screen whose screenshot you desire. Press the Home and Power buttons simultaneously. You will hear the sound of a camera shutter as well as receiving a visual confirmation that a screenshot has been taken. The screenshot is saved in your Gallery folder and can be sent from there to whomever you want to share it with. This is the signature method of Samsung Galaxy devices, and pretty neat too. It involves swiping the screen with the edge of your palm like you are separating accumulating sand in a beach. Note the slight variations mentioned in the steps for early Galaxy models like Galaxy S4 and below. Tap on the “Apps” icon on the Home screen and select “Settings” from the application menu screen. Under the Settings, choose "Motions and gestures". 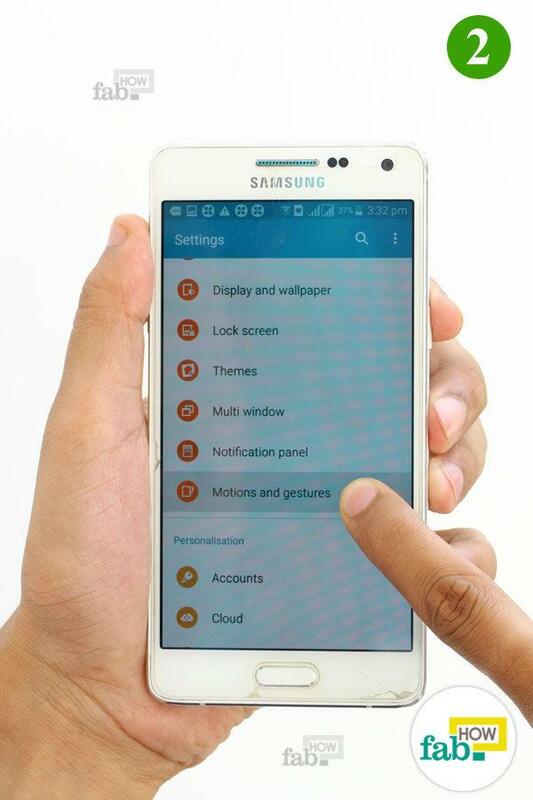 For Galaxy S4 and below, first select the “My Device” tab in Settings, then scroll down and choose "Motions and gestures". Within Motions and Gestures, select “Palm swipe to Capture” and toggle it to the "On" position, if it is not already on. 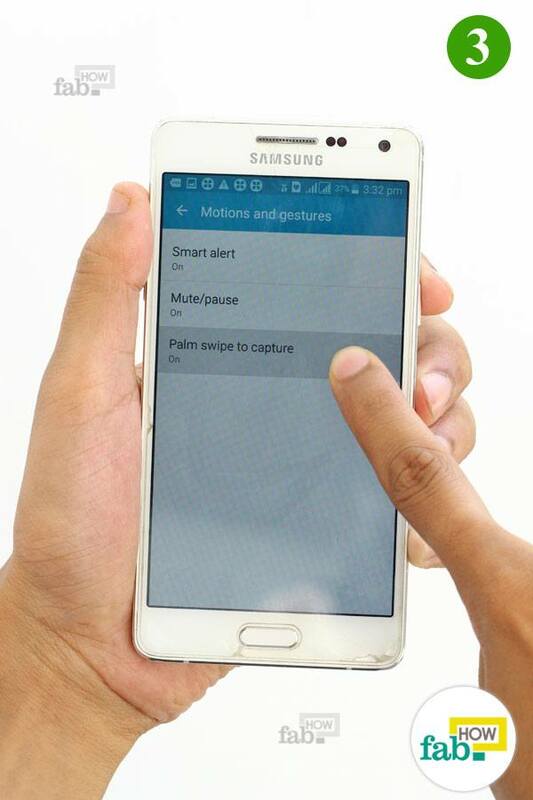 For Galaxy S4 and below users, enable "Palm motion", if it is disabled. Ensure that the "Capture Screen" option is enabled as well. Now, go to the screen whose screenshot you desire, where you’ll use the “Palm Swipe” motion to capture the screen shot. Place your hand in a karate chop position on your phone’s screen. Your palm should be perpendicular to the surface of your screen, so the edge of your palm touches the screen from top to bottom (as seen on the mobile screen above). 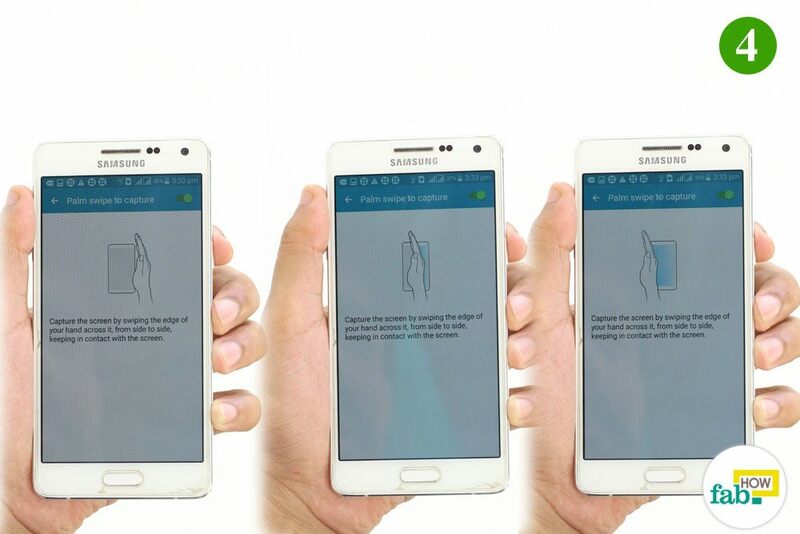 Swipe your mobile screen with the edge of your palm. You will hear the sound of a camera shutter as well as receive a visual confirmation that a screenshot has been taken. 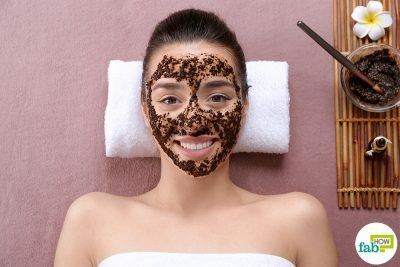 You will receive a notification that the screenshot is in your Gallery folder, and can be sent from there to whomever you want to share it with. 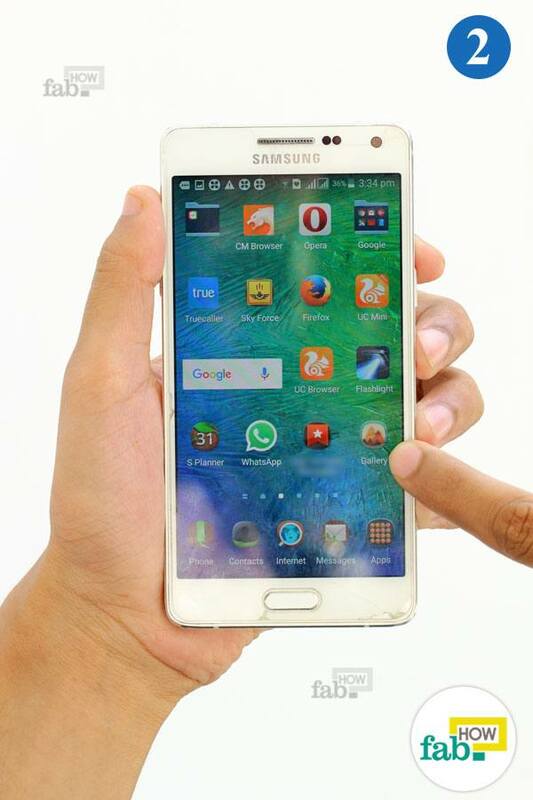 Palm Swipe also works in Samsung’s Galaxy S series, A series, Note, Grand. 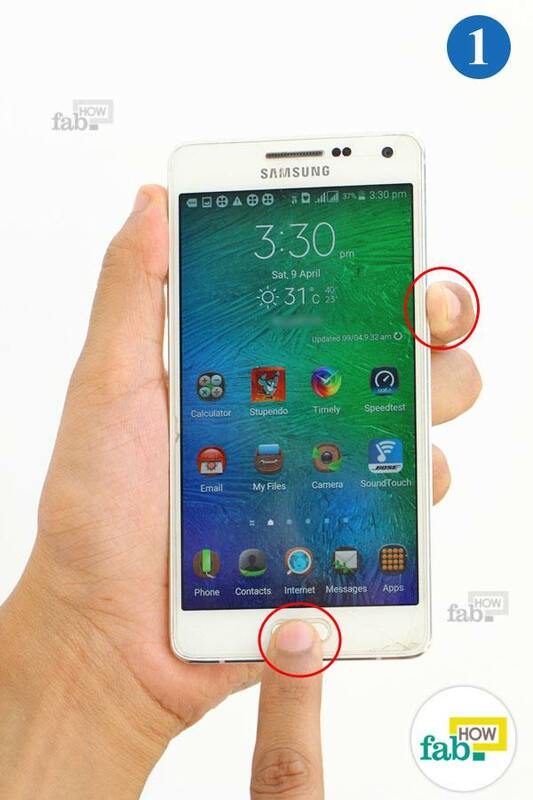 There is only a minor difference in the procedure to turn on Palm Swipe in different models of Samsung smartphones. Motions and Gestures was available under the My Device section in earlier versions, but moved to the General settings menu in later versions.